I have had the exact opposite experience with my medication. I have been on Elavil for twenty-five years and besides a greater appetite and dry mouth I have had no terrible side effects. My psychiatrist took me off the medication completely and I got depressed again. It's been a life saver to me. Thank you for sharing your viewpoint in such a non-combative way, Wendy. There are many sides to the issue of Depression, and I'm glad that the internet allows for open discussions both pro and con of current psychiatric procedures, as well as the explorations of alternatives to the traditional paths that modern psychology sometimes frowns upon. Even though some might suggest that you became depressed again because your mind rebounded when you discontinued usage, as can happen with Zoloft or Paxil, I would guess you belong to the small percentage of people that find psychmeds helpful, considering how long you have been on Elavil. 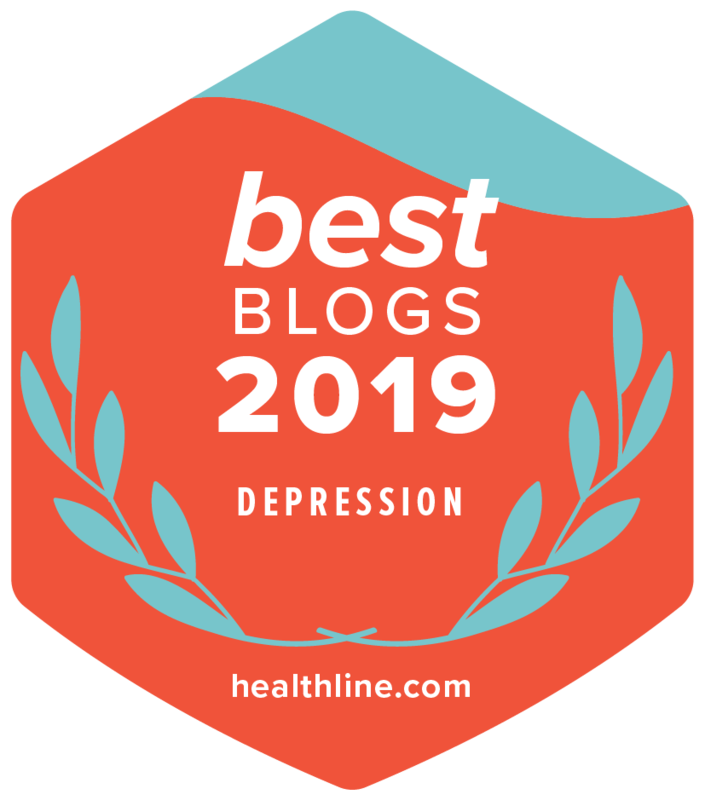 As I've written about before, and will write about again tomorrow, recent studies have shown that only a small percentage of people respond to anti-depressants. The rest either don't respond at all, respond poorly with a cornucopia of side-effects, or respond no differently to anti-depressants than they do placebos. Shocking to the researchers, that meant that placebos were just as effective as anti-depressants for a large percentage of the study group. There are theories out there that the only reason these shocking studies were released last Fall and Winter was because many current anti-depressants are coming up on the end of their patent period. If the old class of drugs is shown to be ineffective, then the way is made clear for the new drugs while diminishing the impact of the new affordable generics based on the old class. I can share links with you, if you wish. At any rate, the problem as I see it, Wendy, is that while there are people like you and my blogging friend, Therese, who have found relief with psychotropic meds, there are many people like myself who have not found relief. We still suffer. If we complain about the damage these meds have done to us, we invariably upset somebody. If we find solutions to our Depression outside of medication, whether by positive thinking, faith in God, or other alternative medicines, we are attacked. In my case, depressives on meds often accuse me of being irresponsible or of not being depressed at all. A larger portion of the complaints seem to be based in insecurities as they fear that I'm suggesting they are somehow lesser than I because they need meds. This is an unfortunate result of my emphasis on how I overcame and manage my Depression by will alone (with a lot of help from a healthy dose of humor). My beliefs are meant to inspire those like myself who are hurting but need help - people who cannot or will not use psychotropics. Alas, I cannot please everyone, but I explain all this so that you and others can understand where I am coming from. I'm glad your response was not like one of those I just listed. Too often I am railed against because of my editorial position. I manage my Depression without medication. I had very little choice. It was either beat off the black dog and live, or crawl into a hole and die. 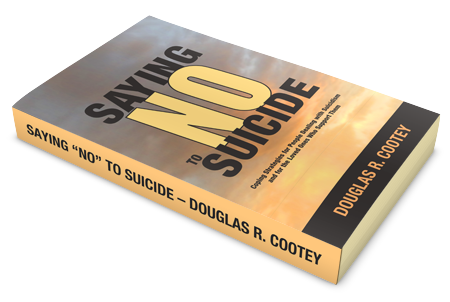 Suicidal ideation is a difficult burden to bear. I am glad that I no longer suffer from it. To be honest, I had not heard of Elavil before, perhaps because it is an older class of drug. I will look into it to be better informed. In the meantime, I do hope to see you in the comments section more often. I had heard of your book before and had flagged it as one to possibly read. I will move it up the list and give it an hearty review sometime soon. Good luck with your sales and congratulations for finding happiness.